Save on Energy Using Your Computer | TonerGreen - Eco-Friendly Toners from the U.S. It cannot be denied that your computer consumes a lot of energy when you are using it. Even though you try to avoid it, you just can’t stop sitting in front of that monitor and doing those techy things with your desktop. So, how can you become an energy saving person with your computer? Here are the perfect tips for you. Using the sleep mode on your computer reduces the amount of energy that it takes. This is because it shuts down in a half manner so some parts tend to rest. 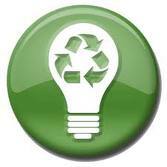 What can be the best way to save energy with your PC? Turn it off especially when you are not using it. Why waste money and electricity on this when you can save a lot by completely shutting it down. Well, this maybe a little weird since remanufactured cartridges are for printers, but you are being an eco-friendly person when you use these. As a matter of fact, experts have already approved the environmental benefits of these third party products. Doing one or even all of these tips will surely save you a lot of money from those costly electricity bills. Just keep in mind that it’s better to do something for nature now than when it is too late.